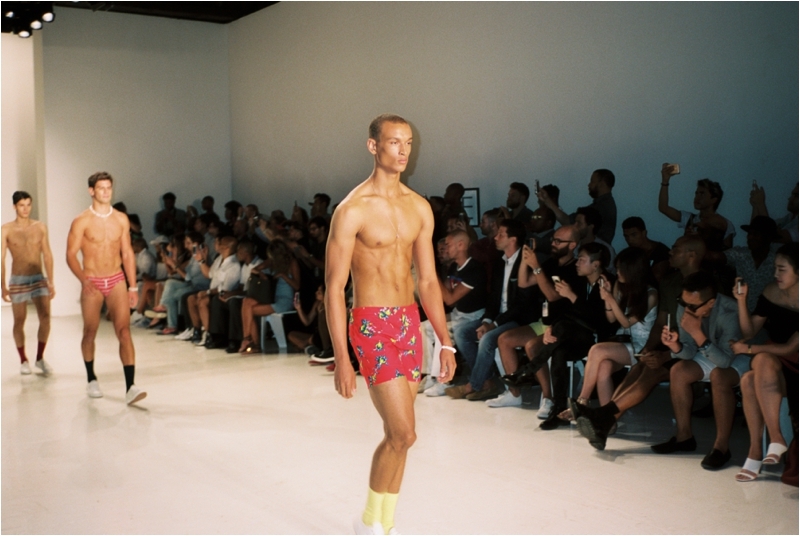 There were a number of memorable runway shows from this past September's fashion week in New York City, however one show that kept coming up in conversation more than any other was without a doubt the Parke + Ronen Spring/Summer 17 collection. 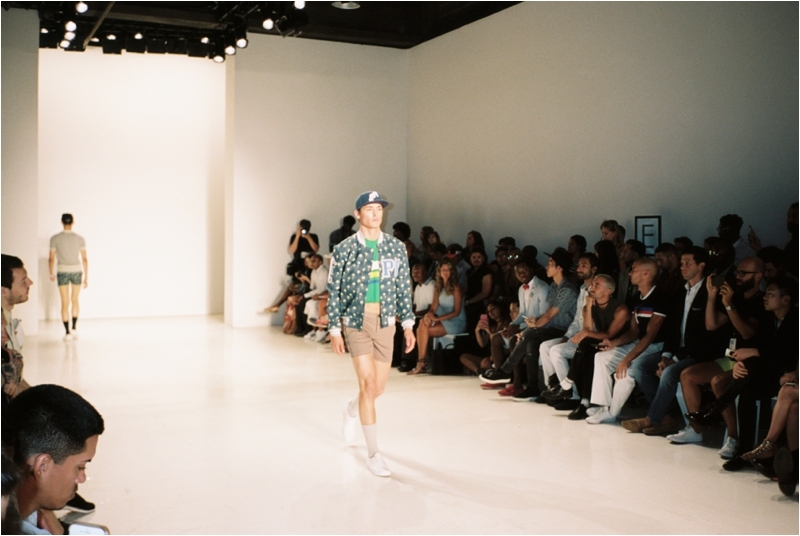 This may be in part due to the bold use of bright floral patterns, the perfectly edgy crop tops on a number of the male models, or the back-to-school-esque pastel socks paired with a mix of varsity jackets and baseball caps. ... Or perhaps it could be due to the relentlessly good looking number of male models that fit those looks perfectly. If you didn't already know, Parke + Ronen is the self-proclaimed "hottest men's swimwear designer" and for good reason. The brand was born in Tribeca, New York between 1993 when the two founders Parke Lutter and Ronen Jehezkel had met, and in 1997 once Parke graduated from the Parson's School of Design. Ronen, who studied high fashion, "alta moda" or Italian Haute Couture in Rome, Italy originally began his venture in a small loft in Soho, but once he announced his joint venture with Parke, the duo has done nothing but see success for a number of years running. I got to see a few familiar faces in this show, such as Colby Brittain, pictured above in the red long sleeve and stripe short. If you love posts about dogs, New York City, or his stunning girlfriend Regan, you'll want to follow Colby here. I'd say this is definitely how to put on a fashion show! Thank you for taking the time to read and I hope you enjoyed this moment from #NYFW. Also, in case you missed it my last post about producing and photographing a fashion campaign can be found here.